Commercial and office properties have been a cornerstone of Imperial Security’s business since it was established in 1993. Whether downtown or in the suburbs, a single building or an entire campus, Imperial Security provides the coverage needed to protect both property and people. Trained security guards work the frontlines, undertaking foot patrols 24 hours a day that maintain a constant presence. They’re able to provide lock/unlock services at either end of the workday, giving employers and landlords peace of mind. When incidents happen, a mobile app allows prompt recording of details, including time and location coordinates. The information is summarized into PDF reports, allowing clients to take appropriate follow-up measures. To serve campus-style office developments, Imperial Security provides bike patrols and mobile patrols. Bike patrols are a step up from foot patrols, giving guards access to areas cars can’t reach while providing a visible presence that covers more ground, more often. Whether it’s footpaths or parkades, bikes put guards where people are, ensuring safety in all areas. Staff escorts for those working after-hours provide an extra measure of safety in parking lots and parkades. Vehicle patrols allow for rapid response across a campus of commercial buildings, something especially valuable in suburban settings. High-profile, branded vehicles serve to discourage property crime, while ensuring a prompt response when incidents occur. Imperial Security was among the first companies in Western Canada to adopt GPS-tracking of its vehicles. Video cameras within the vehicles provide an accurate record of how incidents unfold. 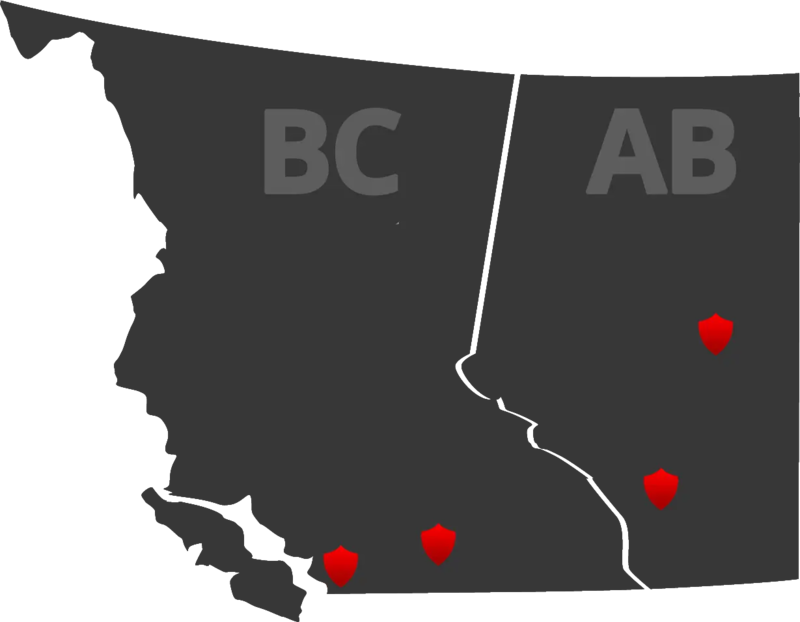 Imperial Security has established a long track record with commercial and office clients in British Columbia and Alberta. With locations in Vancouver, Richmond, Langley and Surrey as well as Calgary and Edmonton, it provides full coverage to office properties across a range of industries. Security plans can be tailored to client needs, and if specific tools are required, Imperial Security will work to develop them. The evolving needs of office tenants and landlords demand cutting-edge solutions, and Imperial Security has the experience and knowledge needed to design protection that’s right for you.